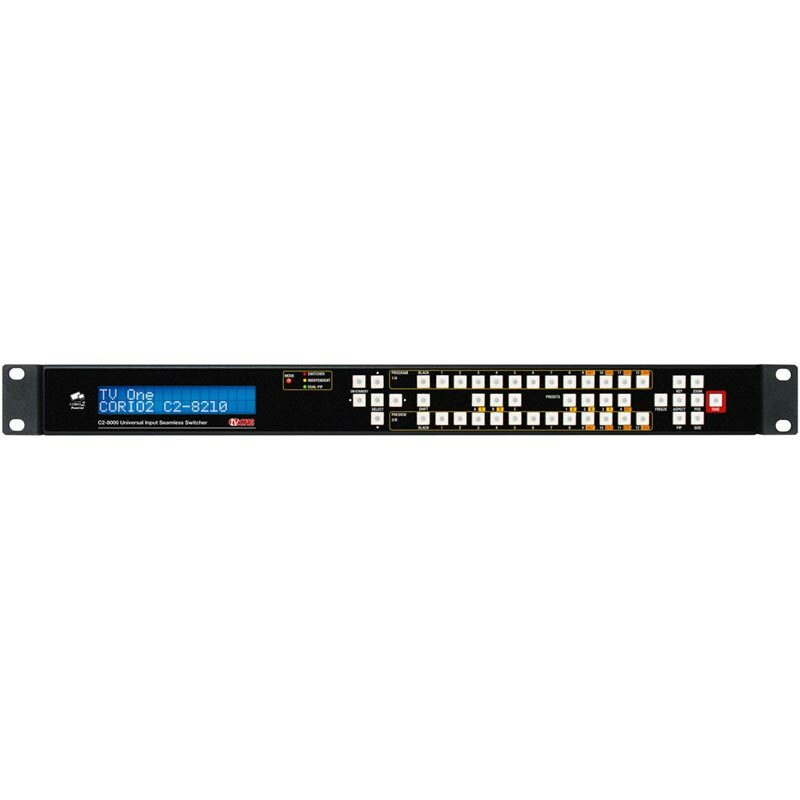 C2-8260 Universal Input Seamless Switcher is based on TV One's exclusive CORIO®2 technology and provides high quality video switching with two-channel bi-directional conversion between a variety of analog and digital video formats. 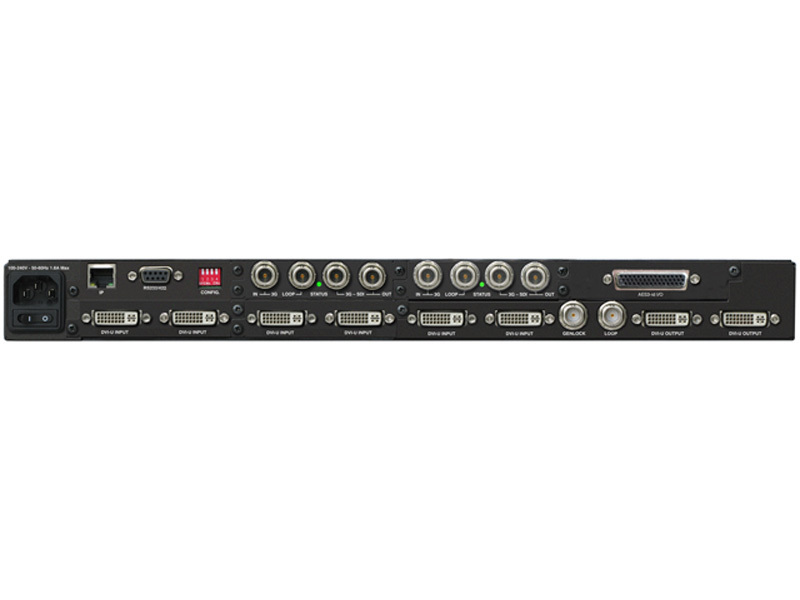 The standard system features multiple DVI-U input modules (allowing any of HDMI, DVI, Composite Video, YC, YUV, YPbPr or RGB) that can be scaled and switched between, along with two independent processing channels. 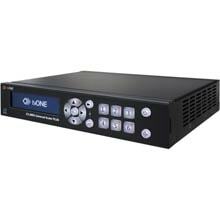 The system can also have 3G-SDI input/output modules fitted, as well as audio I/O. Signal parameters of the incoming video may be adjusted. All settings are stored in non-volatile memory and are retained even when power is switched off. User defined presets are also available to customize settings for various applications. All the functions can be controlled via the front panel Push Buttons, an RS-232/422/485 or IP connection. Windows Control Panel software is provided and most third party control systems interface directly with the entire C2 range of products. A front panel LCD makes setup easy. 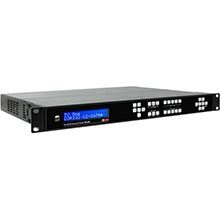 The unit is housed in a standard 1U rack mount case and features an optional redundant internal PSU and power inlet. Variable Zoom to 10X enlarges any part of the computer screen to fill the entire video screen and position controls allow movement to any area desired. Variable Shrink to as little as 10% allows fitting the image onto most displays. The advanced Digital Flicker Elimination circuitry and high sampling rate ensures crisp, clear images, while full bandwidth chroma sampling ensures faithfully reproduced, high resolution colors. Pixel Level Motion Adaptive Diagonal Interpolation and Noise Reduction ensures high quality de-interlacing of PAL, NTSC and 1080i signals. 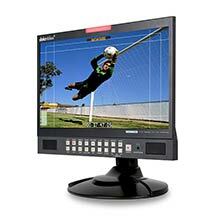 3:2 Pull-down ensures proper 24 fps film extraction from NTSC and 1080i sources. Advanced Features The Key Mode allows one input to be keyed over another. The keyed image may be faded in and out. Due to the 4:4:4 RGB/DVI sampling format, precise keying at the pixel level can be achieved. The Mix Mode permits Seamless Cut, Fade or Wipe transitions between input sources whilst a background is in use. The Genlock reference input is SD and HD compatible and ensures precise synchronization of the incoming signals by providing a wide Subcarrier lock range with Subcarrier phase adjust. Integral Audio switching is provided to route audio from the (HDMI-compatible) DVI input or SDI input to the DVI and SDI outputs. An optional Audio Module can provide AES I/O abilities and audio delay and can link to our A2-7300 range of audio break-out units.